Do you have a burning question regarding the non-discrimination in programs and services provisions of the ADA? Is there a policy or procedural issue that you are confused about? Do you have questions about service animals vs emotional support animals under the ADA? 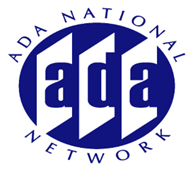 Are you clear about what constitutes undue hardship under the ADA? What are the guidelines regarding the provision of VRI versus Sign Language Interpreters during medical or professional services appointments? Join us for this popular session where you will have an opportunity to ask your question. We will be accepting questions in advance of the session. The first 25 questions submitted will be given priority and then we will take questions “live” during the session as well.